Stone veneer panels are one of the best things to ever happen to hardscaping – and the trend has never been hotter. 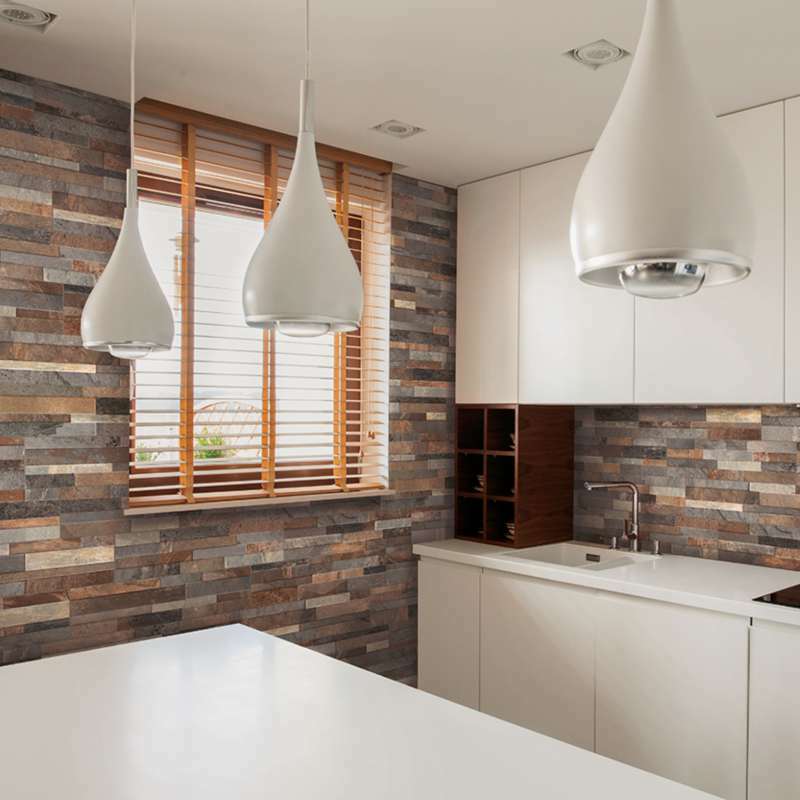 But the natural stacked stone isn’t just for outdoors; lately, it’s been migrating indoors as well, as designers have embraced it for their accent stone wall ideas. Stone Solution + Design has responded to this demand in the best way – we’ve rolled out an all-new collection of colors! Here are six of them, to whet your appetite. Natural stone veneer panels are crafted from real, thin slices of rock – not ground-up rock dust with fading paint. Glacial Black Stacked Stone features split-face marble in deep charcoal gray, with subtle gray-toned veining to add visual interest. 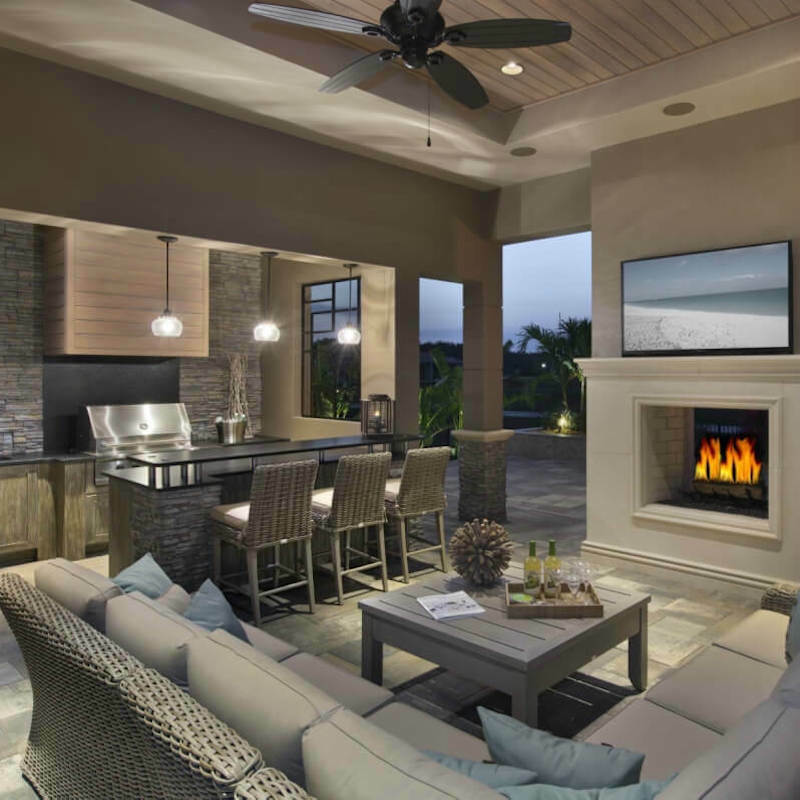 Stone veneer is a great choice for transitional areas such as the one shown here, a sheltered, open-air family room. As a backsplash, and covering the bar sides and columns, it ties together the cozy indoors and natural environment beyond. If you’ve browsed Stone Solution + Design’s other surface options, you know we’re fans of lookalikes that perform, style, and impress just as much as the “real thing” – often with additional benefits such as price point, ease of care, and improved durability. Rocky Gold Porcelain Ledger is no exception. This porcelain veneer delivers the colorful, rustic aesthetic of real stone, and is the perfect product for the cost-conscious consumer. If “rustic” is what comes to mind when you think about stacked stone being used indoors, it’s time to re-think that idea. Charcoal Pencil Stacked Stone is split-face slate, with elongated, narrow pieces arranged with a 3-D texture. 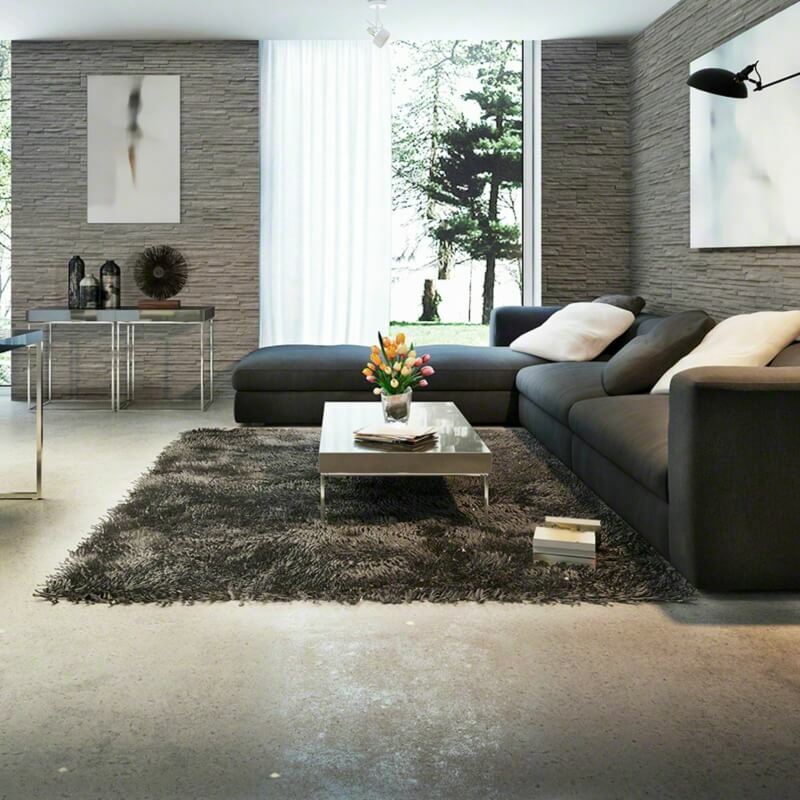 The result is sophisticated and contemporary, with an eye-catching, linear look. 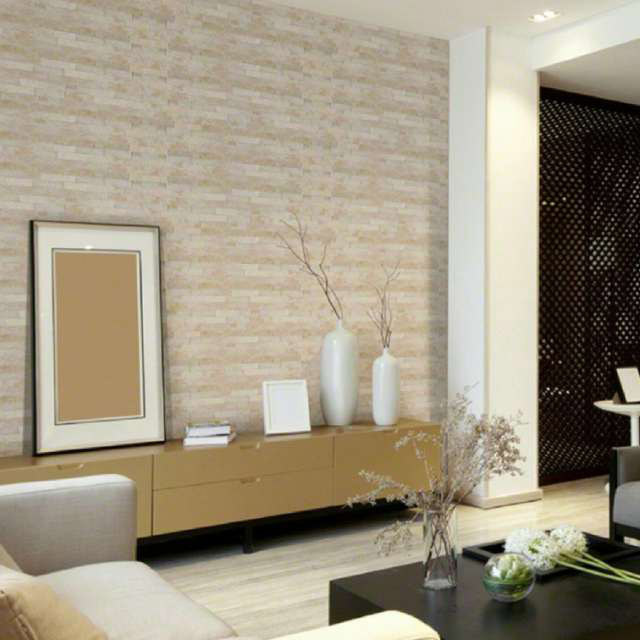 Stone Solution + Design’s ledger panels are easy to install in room corners, and on outside corners as well, because matching corner pieces are available for your projects. The split-face, natural quartzite in Sparkling Autumn Stacked Stone has a fine, slightly shimmery texture. Its main color is gold, which is accented with rusty red and cool cream, a combination that is flattering nearly anywhere you might install it. 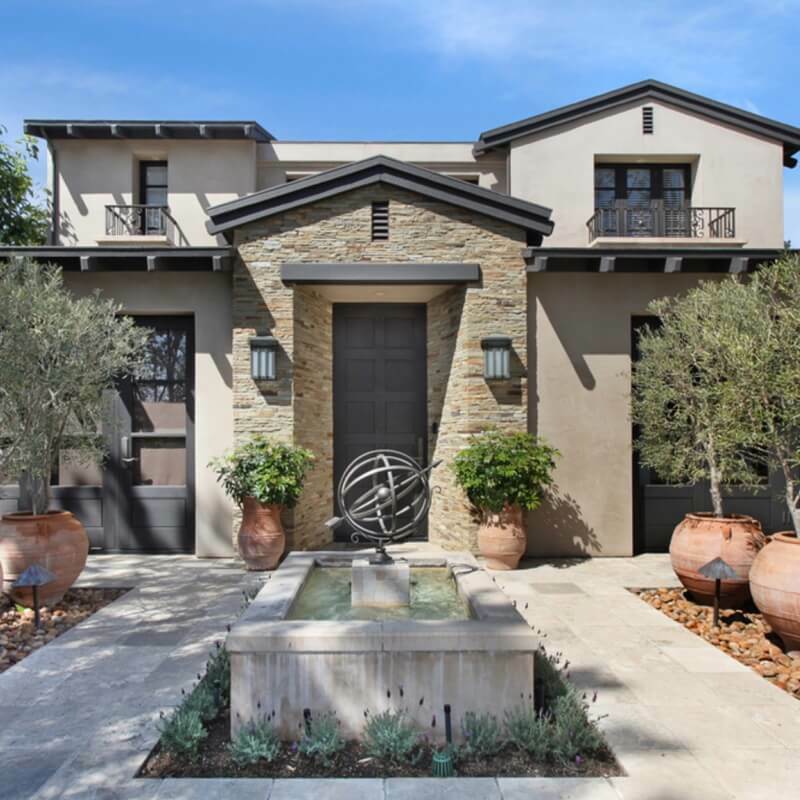 Stacked stone is unmatched for its ability to create an impressive, upscale home entryway, complementing all forms of landscaping and boosting curb appeal. The fireplace surround is the most common indoor usage for stone ledger panels. 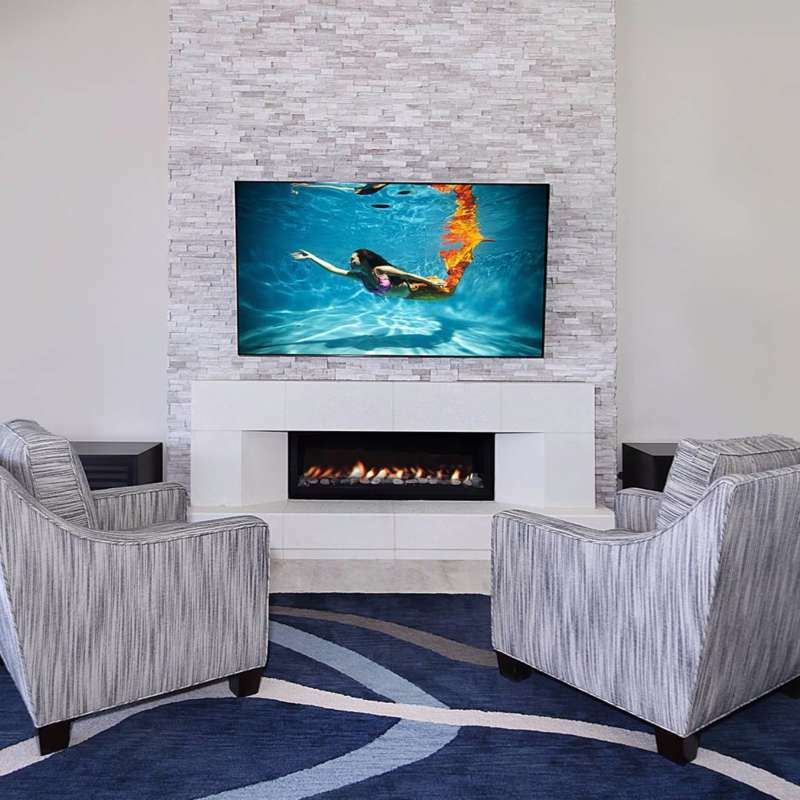 It's a great choice for the fire feature's accent wall – but we recommend you don’t stop there! Since it’s thin and lightweight, you can create modern, minimalistic designs such as this combination TV/fireplace installation. Crafted from natural marble in a rough-textured off-white shade, White Oak Splitface Stacked Stone is refined and elegant. 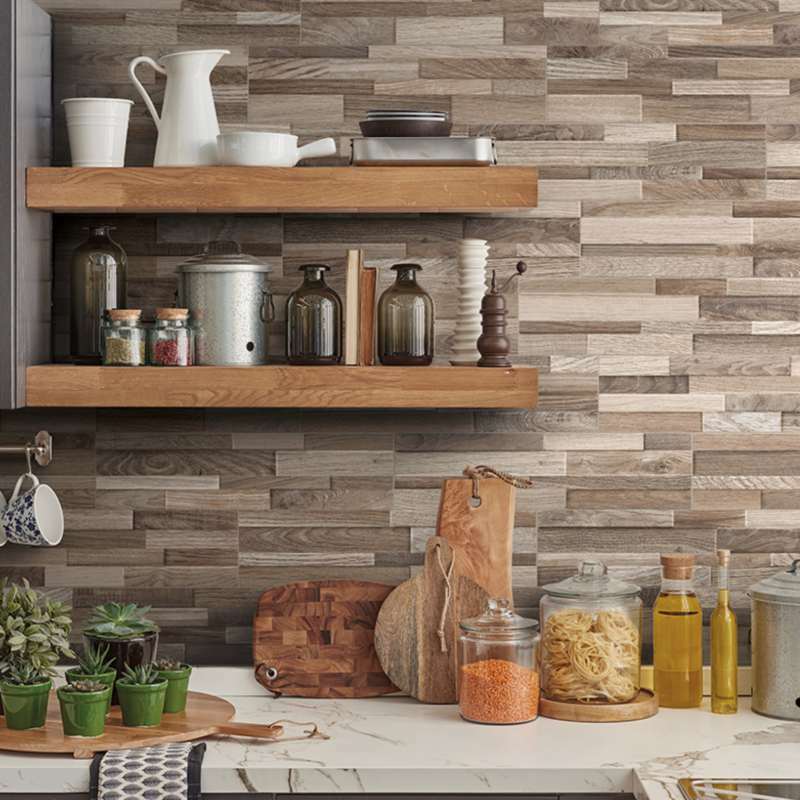 Made in Italy, Rainforest Taupe Porcelain Ledger is a creative backsplash installation that combines three of our favorite things: varying shades of wood grain, porcelain tile, and the easy-to-install stone veneer panels. You’ll love the easy-care durability of porcelain tile, inkjet-printed to realistically resemble cross-grain pieces of wood. With large 6” x 24” panels, it’s easy to cover large spaces with a minimum of visible seams. What “wood” you do with it? Stone Solution + Design’s stone veneer panels – and porcelain veneer lookalikes – have made a huge impact on both exterior and interior designs, and we continue to innovate. Durable and lightweight, they are appropriate for any vertical surface. Visit our web gallery to learn more about these new colors, as well as the other options we have to offer.